The first way is that we move with our mouse on top of the desired Worksheet and click on it, to activate it that we want to Move or Copy. Then we do a right click with our mouse and from the shortcut menu that appears we select the command Move or Copy as shown in the image below. The second way is to have the desired Worksheet activated by selecting it, and then from the Home tab, we locate the area of the ribbon named Cells and we select the command Format and then from the drop down menu that appears we select the command Move Or Copy Sheet as shown below. No matter which way we choose, the Move or Copy dialog box appear as shown below. This dialog box is separated in the following areas which will be described below. 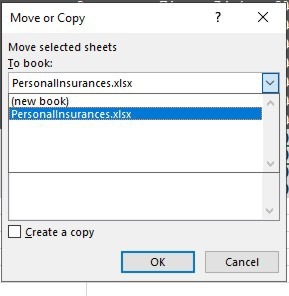 Move Selected Sheets To Book: If we select the Move command, by selecting the drop-down menu, we will Move the selected Sheet either to a New Book or to an Open Workbook as shown in the image below, which the already opened Workbook is named PersonalInsurances.xlsx. Whatever we select, once we Move the Sheet it will no longer be in the original position, but it will Move to the New Location either it is a New Book or an Open Existing One. Before Sheet: If we choose to Move a Worksheet in an already opened Workbook, we can choose where to Move the Worksheet Before. 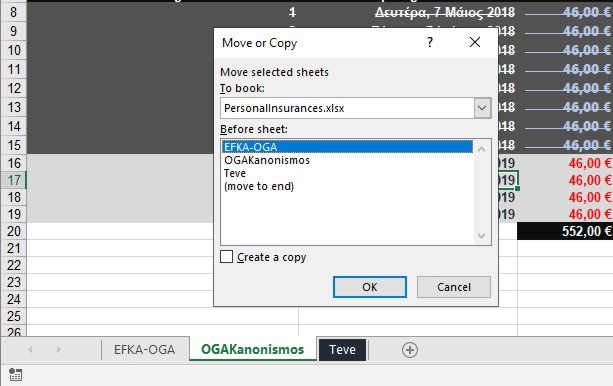 For my example, as mentioned above I have opened a Workbook named PersonalInsurances.xlsx, which contains the Worksheets EFKA-OGA, OGAKanonismos and Teve, where we Move Before the Selected Worksheet. We also have the option to Move the selected Sheet To the End. Create A Copy: If we activate this command, instead of Moving the Spreadsheet, we actually Create a Copy of it. If we want to Create A Copy of it, we must first select this option, and then follow the steps that I mentioned above. 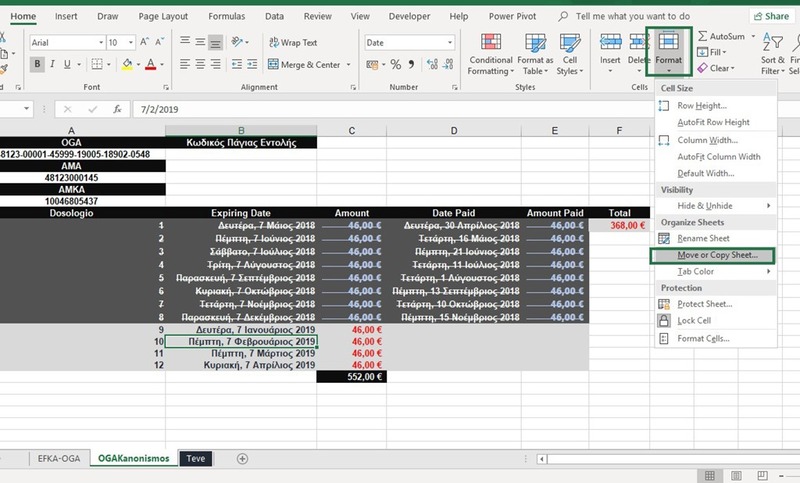 Below you check out the video describing How To Move Or Copy A Spreadsheet in Excel. Posted on March 18, 2019, in Excel 365 English, Microsoft Office 365 ProPlus English and tagged Before Sheet, Copy, Create A Copy, How To, How To Copy or Move A Worksheet in Excel?, Know How, Microsoft Excel, Microsoft Office, Microsoft Outlook, Microsoft PowerPoint, Microsoft Word, Move, Move Before the Selected Worksheet, Move Selected, My YouTube Channel, New Book, New Location, Office Smart, Office System, OfficeSmart, Open Existing One, philippospan, Sheet, Sheets To Book, Smart Office, smartoffice, Subscribe, Tip & Tricks, Worksheet. Bookmark the permalink. Comments Off on How To Copy or Move A Worksheet in Excel?.